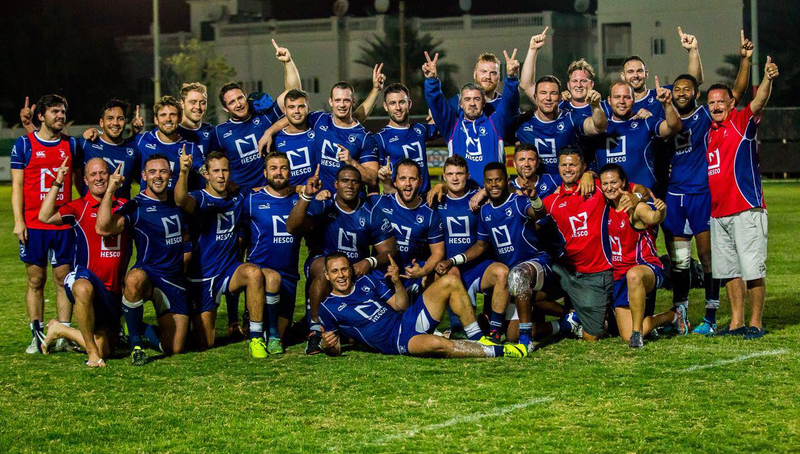 Jebel Ali Dragons are the team to beat in 2018/19. It’s only the second week of the season but already one of the most explosive rivalries in Gulf rugby is being renewed on Friday as West Asia Premiership champions Jebel Ali Dragons welcome Abu Dhabi Harlequins. The pair always tend to put on exhilarating encounters – typified by last season’s 34-33 win for Quins on the 2017/18’s opening night in September 2017. The return tie in Abu Dhabi in January was equally tense, as Dragons earned a 20-17 win. Added fuel is poured onto the fire by the fact Dragons won the Premiership last season – a first title in four years – by ripping it away from Quins on the final day following a warrior-like bonus-point win in Bahrain. And after a close set of results in week one, Dragons chairman Stuart Quinn feels they reflect how close the competition will be once again this season. “They beat us at home last year so we’d like to get that monkey off our back,” said Quinn. 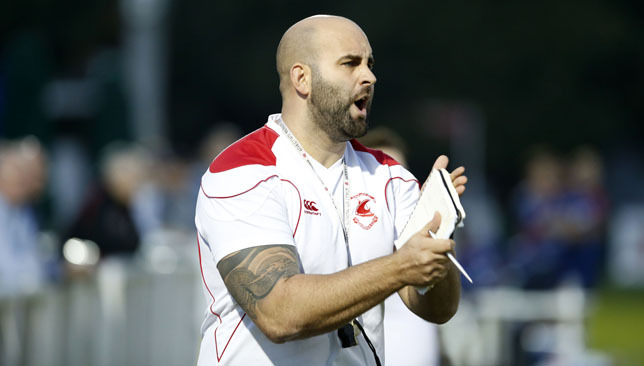 Louie Tonkin is not underestimating visiting Dubai Eagles. Quins coach Mike McFarlane has overseen his side becoming UAE rugby’s dominant force during his four-year tenure. He is, however, going into his fourth season under more pressure than ever before with just two minor trophies claimed last term and a depleted squad taking on Dragons, Dubai Exiles and Bahrain sides only getting stronger. “We’ve had two games now with a lot of positives to take and I’m really happy with the work rate, ambition and reflection of the players in wanting to improve targeted areas of development,” said McFarlane, whose side lost 24-14 at home to Bahrain on opening day. Bahrain are at home to much-improved Dubai Eagles on Friday – their 14 men put up a terrific effort a week ago, beaten just 20-13 by Dubai Hurricanes, despite having a man sent off after just 10 minutes. Bahrain coach Louie Tonkin is taking nothing for granted ahead of Eagles’ second trip to his small corner of west Asia. “Eagles are a bit of an unknown quantity,” said the Welshman. Elsewhere on Friday, it’s a Dubai derby at The Sevens as Hurricanes host Exiles. 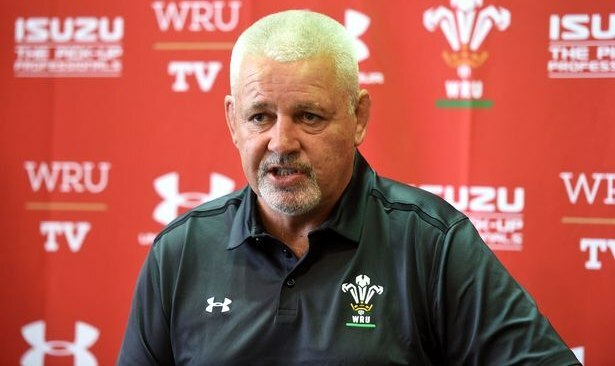 Warren Gatland hopes “common sense” will prevail and allow Wales to play the ineligible British & Irish Lions scrum-half Rhys Webb at the 2019 Rugby World Cup. Webb is unable to represent Wales following his move from the Ospreys to Toulon as Welsh Rugby Union rules stipulate that players based outside the country must have 60 caps. The 29-year-old has 31 caps and WRU chief executive Martyn Phillips said last week that the rules will remain in place for the foreseeable future as doing otherwise gives people “false hope”. But Wales coach Gatland has not given up hope of having Webb in his World Cup squad in Japan 12 months from now. “I feel so sorry for Rhys. I would love the opportunity to be able to pick him,” Gatland said at a media briefing on Monday. “The rules say that I can’t, but if there are a couple of injuries I would like to think – say we lost two of our three nines that we have at the moment – then there would maybe some common sense. “I don’t think anyone wants to see a team hampered by the ability to be able to pick the best player. Webb missed the 2015 World Cup after suffering a serious foot injury in the final warm-up game against Italy. But he won his Wales place back after spending six months out and was selected for the 2017 Lions tour to New Zealand, appearing as a replacement in two of the Test matches and scoring a try. Webb announced last October he was moving to France for three years, and Top 14 club Toulon said the agreement allowed him to continue playing for Wales. But Webb fell foul of new WRU regulations which come into force this month and are designed to encourage the best Welsh players to remain home-based. “I do feel sorry for him as he had agreed terms with Toulon before the policy had taken place,” Gatland said. Wales took Scarlets pair Gareth Davies and Aled Davies and Cardiff Blues scrum-half Tomos Williams on their summer tour to the United States and Argentina. The trio did well in the victory against South Africa in Washington DC and the 2-0 series win in Argentina, but Gatland remains a huge fan of Webb. “There is no doubt that when Rhys is fit and playing well he is world class,” Gatland said. “If he is playing well, his form is good enough, seeing what happens with their other nine, is there a possibility (he could play at the World Cup)? At the moment it is a firm no, but you can never say never. “If we turned up in nine months and it was important to us to take Rhys, would people consider an exception? 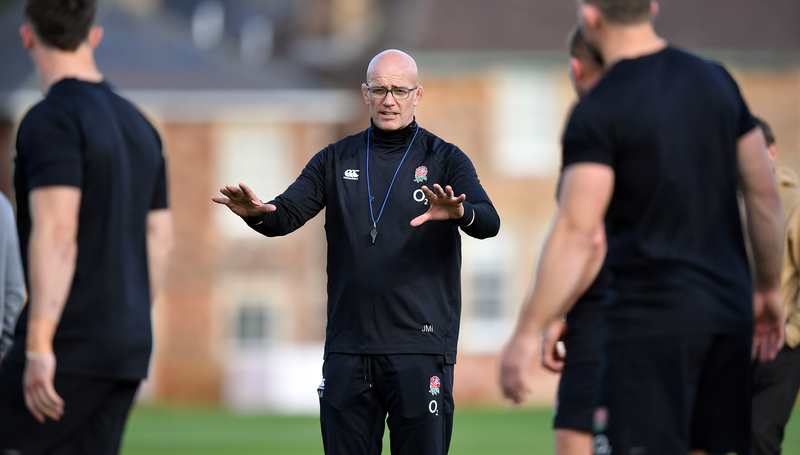 John Mitchell is comfortable acting as Eddie Jones‘ number two after rejecting the prospect of eventually succeeding his new boss as England head coach. Mitchell will oversee the defence until the conclusion of next year’s World Cup after being recruited as Paul Gustard’s replacement in a total package costing Twickenham in the region of £500,000. The former All Blacks chief has amassed 24 years of tracksuit experience, including three working beneath Sir Clive Woodward from 1997-2000. Virtually ever since his time with England, he has only ever served as a head coach. 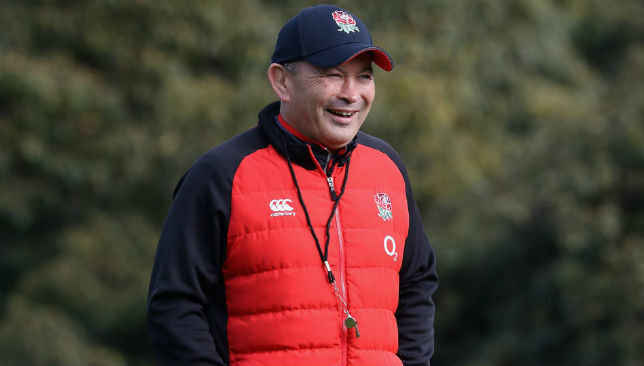 Jones has signed a two-year contract extension that expires in 2021 – subject to performance at the World Cup – but Mitchell has distanced himself from the possibility of filling any vacancy created by his long-term friend. “People will speculate but that’s not even on my mind. I have a job to do and I’ll do it the best I can,” Mitchell said. “I’m really looking forward to getting into it, which has already started. I’m on a one-year contract and I will fulfil that the best I can. Mitchell, who represented New Zealand but was never capped by the All Blacks, is seen an unforgiving disciplinarian with a fiery nature, but the 54-year-old laughs off the reputation. “It’s funny the perception you create and I sometimes laugh at the perception,” Mitchell said. Jones and Mitchell were adversaries at the 2003 World Cup, the former in his role as Wallabies head coach, and they have stayed in touch since, showing each other “empathy during difficult times, in sickness”. The two met during England’s June tour to South Africa and Mitchell agreed to join the management team, leaving the Rugby Football Union to negotiate his release from the year left on his Blue Bulls contract. “Coaching England was special back then and it’s special now. It’s nice to come back with more maturity and miles on the tyres,” Mitchell said. England’s three-day training camp in Bristol – the last before the squad gathers to step up preparations for the autumn series – has been beset by injuries. Joe Launchbury, Chris Ashton and Billy Vunipola were unable to train because of hamstring injuries, while Manu Tuilagi and Ben Youngs did not attend due to respective hamstring and ankle problems.